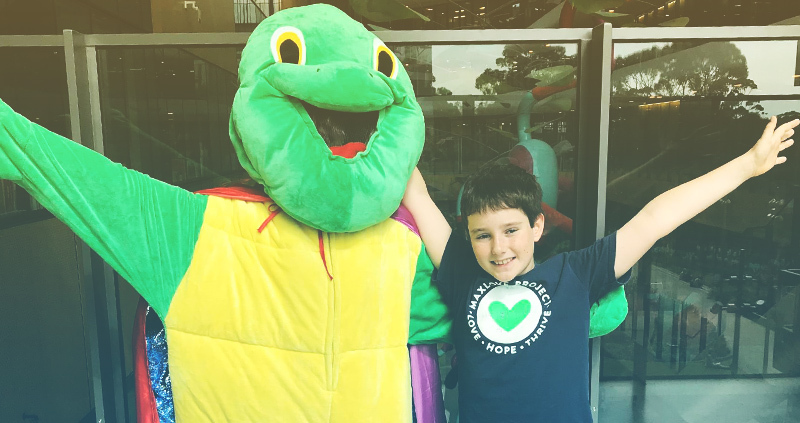 Bryce and his team of amazing friends, family and organisational partners are working hard to raise both awareness about childhood cancer and funds to help us get Super Max the Turtle night lights into the hands of every child diagnosed with cancer in Australia and New Zealand. Stay up to date with Bryce's adventures in our news section below and on our social media accounts through Instagram at "SuperMaxAndBryce" and Facebook in our group called "Super Max & Bryce". Here's to spreading love, hope, happiness and comfort everywhere we go! Here are the three videos in a series we've created called Superhero Smiles. Through this series, we share heartwarming pictures of the gorgeous smiles that radiate from the super strong and incredibly brave superheroes when they receive their Super Max the Turtle gifts. Our first video is dedicated to superhero Alliarna, who lost her battle against cancer one month after we received her picture. She will always be remembered for her beautiful spirit and kindhearted nature. Our second video is dedicated to superhero Brooke, a fierce fighter who defied the odds by living long enough to see her second birthday as she battled against two rare and aggressive cancers. Her bravery was beyond inspirational and keeps us working as hard as we can to support research to find a cure. Our third video is dedicated to all of the superheroes out there whose smiles are brighter than the sun. The smiles in these videos remind us of why we're doing this. They are the hope and light of this journey. We are connected together on this journey by the love, hope, happiness and comfort that radiates through every turtle star light and every superhero smile. The Cloud b Super Max the Turtles are shipped! On August 31, 2017, Bryce received a $1,000.00 donation from the Australian Childcare Alliance of Queensland (ACA Qld) to support the Super Max & Bryce project. On Thursday, August 10th, 2017 Bryce presented to the Rotary Club of Burleigh Heads about the Super Max & Bryce project. On August 1, 2017 the amazing and ever-growing St Andrews Super Max & Bryce team put on a campus-wide four school bake sale. On July 28, 2017 Bryce and Amy were invited to present at the Bond University Women’s Network (BUWN) Speak Up Forum on ‘Resilience and Beyond’. On June 20, 2017, Bryce presented to faculty members and students from around the world at the Eastern Academy of Management International (EAM-I) conference held at Bond University. Here are some pictures and stories from our 2016 journey around Australia to give 244 Cloud b Super Max the Turtle night lights to children in treatment for cancer.